An Opinion On Sports: Is Coaching Longevity a Good or Bad Thing? Is Coaching Longevity a Good or Bad Thing? Do you think college coaches hang around too long at one place? It's a legitimate question. After all, Baptist preachers can hang around too long as well. Sermons get old for them, pep talks get old for coaches. Complacency sets in, then that over-used cliche "burn-out" comes up, then stagnancy takes over. I think Bobby Bowden stayed too long at Florida State, and I believe Joe Paterno is doing the same at Penn State, having been at the helm since 1966. Only eight current head coaches were hired before the 2000 season, and twenty two began their first season his year. Sometimes football programs need new life, new systems, new personnel. Might an ideal span be between twelve and twenty years? Frank Beamer is having a tough go of it in this his twenty third dance. Auburn was probably correct in dishing Tommy Tuberville when they did, and Texas Tech got a competent head coach out of the move as well. Larry Coker needed to go at Miami, and thus Randy Shannon was provided with a great opportunity to rebuild a fallen program. On the other hand, when Ole Miss fires Houston Nutt, everyone should just let him go out to pasture. His building up and tearing down days are nearing their end. Phillip Fulmer was let go at Tennessee after sixteen years, but I'm not even going to bring up Lane Kiffin, because that guy doesn't even figure in to this opinion. After all, they shoot horses don't they? Sometimes even success contributes to an aura of comfort, of not rocking the boat, and before a coach realizes it he can't see the forest for the trees. 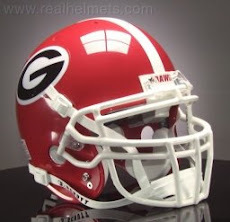 Closer to home, I realize the masses will upscale their contempt of Georgia's Mark Richt now that the Bulldogs are 0-2 in conference play. 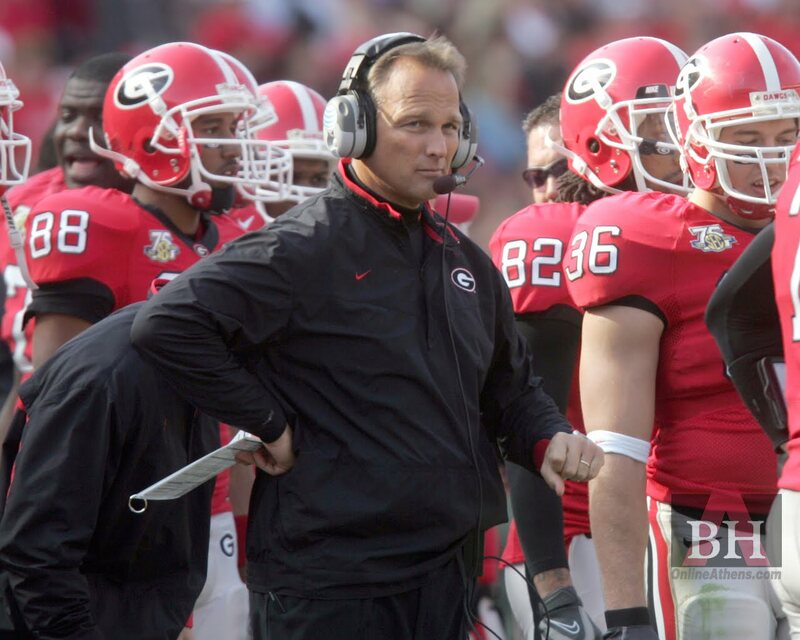 I hate it, because I think Richt is truly one of the "good guys" in college coaching. 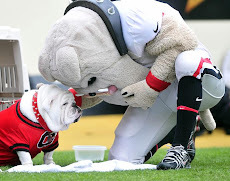 However, his day will come at some point, and Georgia perhaps will need to add a tougher, more demanding guy at the helm. Someone who is perceived to have a little more S.O.B. in him than Richt. Like I said before, new life, new system, new outlook. But Mark Richt will never have to be fired by Georgia. He will make it easy on the athletic director, voluntarily move on out and begin winning souls for Christ instead of football games for the Dawg Nation. 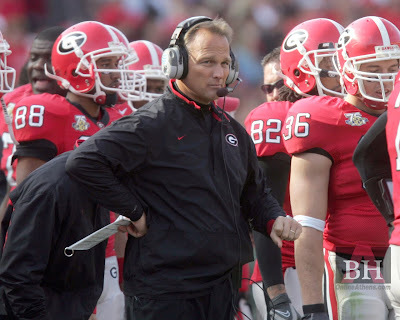 Richt is in his eleventh season at UGA, and I don't see him staying past twenty even if he's welcome to do so. I think the mission field awaits him, he awaits it, and there's nothing wrong with that. A.J. Green: And How Was Your Spring Break...? Georgia: What Do You Do, When You're 1-2? 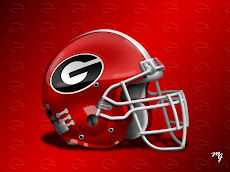 Dawgs -vs- Hawgs: Big Game or Must Win for UGA? A.J Green: What's Really Going On? Gilligan's Island: Keep That Receiver There! Georgia Bulldogs: Surprise Team of the Year? Aroldis Chapman: 103 M.P.H. ...Twice!